Tá athas orm bheith in ann cludach m’albam nua a roinnt libh inniu. “Corcra”, dath na cruthaitheachta, a bheas mar theideal air agus eiseofar an t-albam go luath sa bhliain úr. Gach seans go mbainfidh an te a bhfuil speis aige sa Chóimheas Órga sult as a bhfuil le léamh ó na léaráidí seo. Is fada againn tuiscint ar an ghaol idir an cheol agus an eolaíocht agus an chéimseata, eolas a chuir leis ealaín anseo. Tá an t-ádh orm gurb é m’fhear chéile féin, Frainc Mac Cionnaith, a dhear seo! I am delighted to share the cover for my new album. 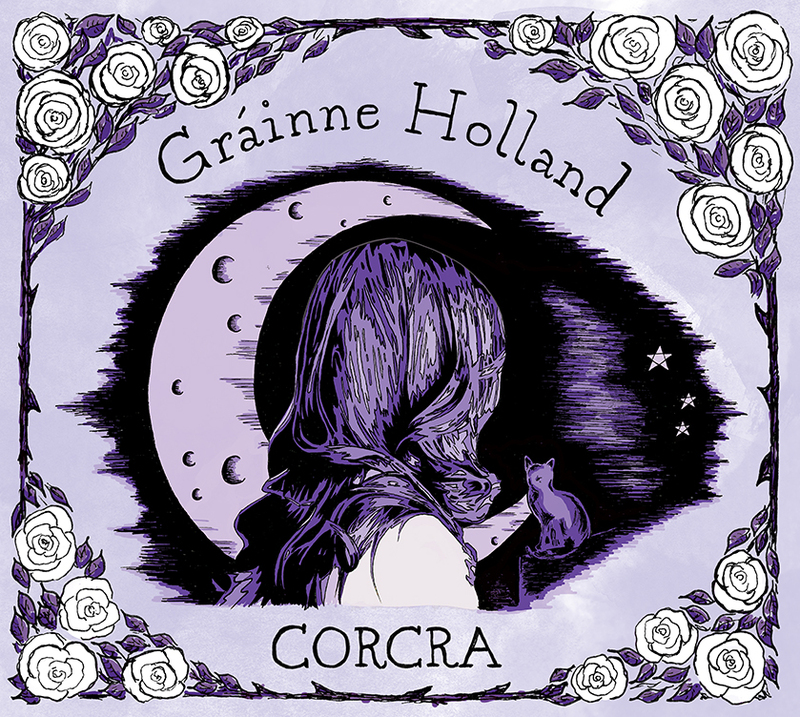 It will be titled ‘Corcra’ – the colour of creativity, and will be available early in the new year. Those of you with a keen interest in the Golden Ratio may take particular interest in the drawings. The relationship between music, physics and geometry has been appreciated for centuries and is reflected in the artwork here. Frainc Mac Cionnaith is the artist and I’m very lucky to say he is my husband!